Recommending day trips, unique places, weekend getaways and hidden gems in Ontario. The Ottawa Valley is an area I hadn’t explored yet, so I jumped at the opportunity to stay at The Greystone on Golden Lake. The drive from Toronto was a bit over 4 hours but entirely worth it. My hosts were extremely accommodating with my late arrival. 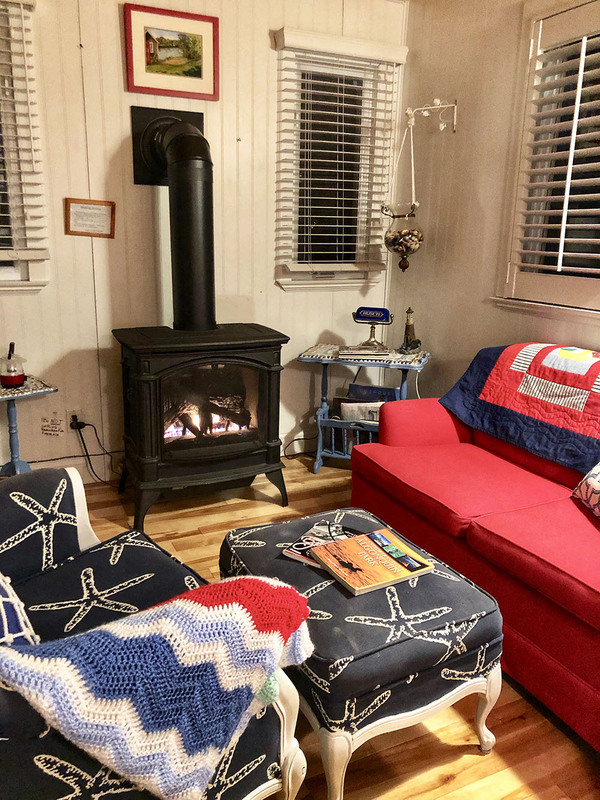 They greeted me with the key, the fireplace crackling and the cabin brightly lit. 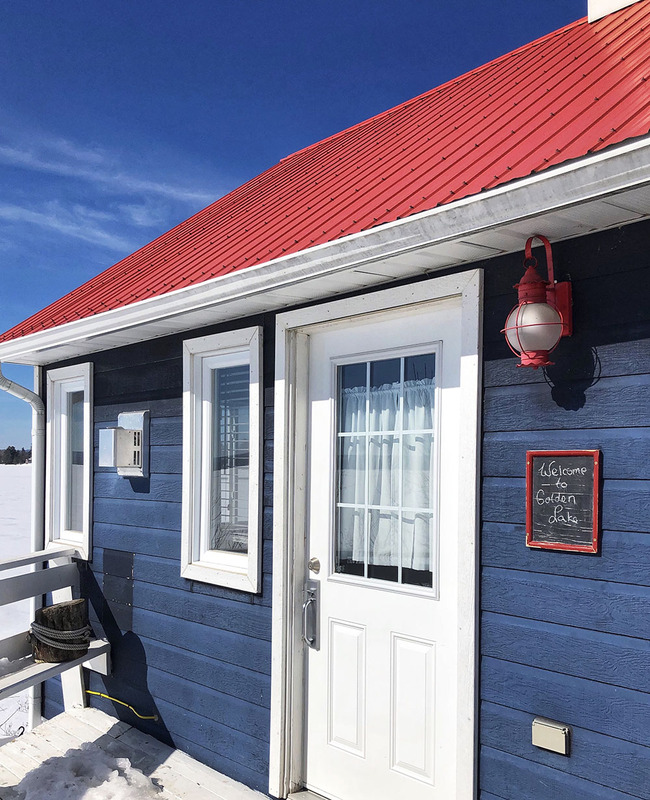 I chose to stay at the adorable bunkie they named “the boathouse” and I Immediately fell in love with the little blue bungalow. On top of that, they added so many extra touches that really make it special. The little house comes with a coffee maker, fresh ground beans, milk (cream in the fridge), and sugar which was lovely to have when I woke up. They also provide tea bags for those who aren’t coffee drinkers. There is a lot more to Graystone than just the Boathouse. 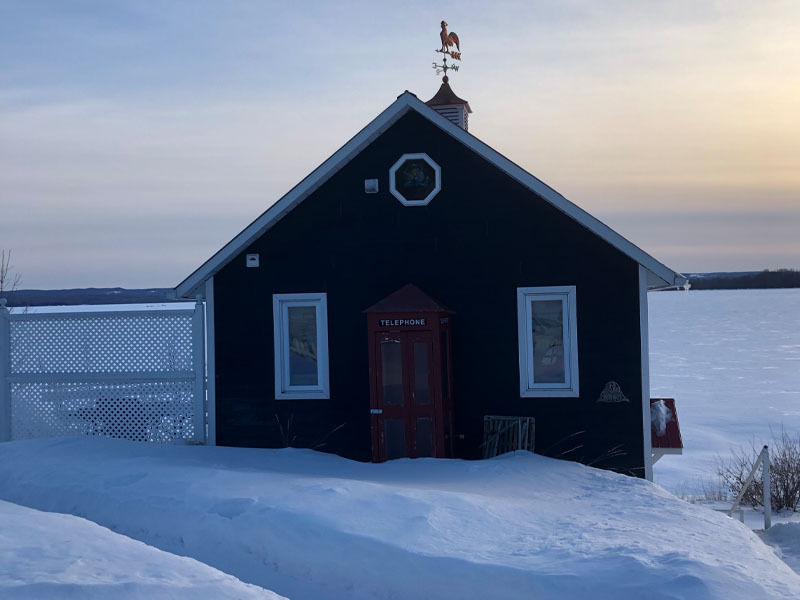 The amenities range from hundreds of National Geographic editions lined up on the bookshelf to the big bright windows that display incredible views over the frosty lake. The bed was large and extremely comfortable, with more than enough blankets and pillows (one pillow was soft and the other had a bit more support, which was nice). The entire feel of the place is warm and cozy. 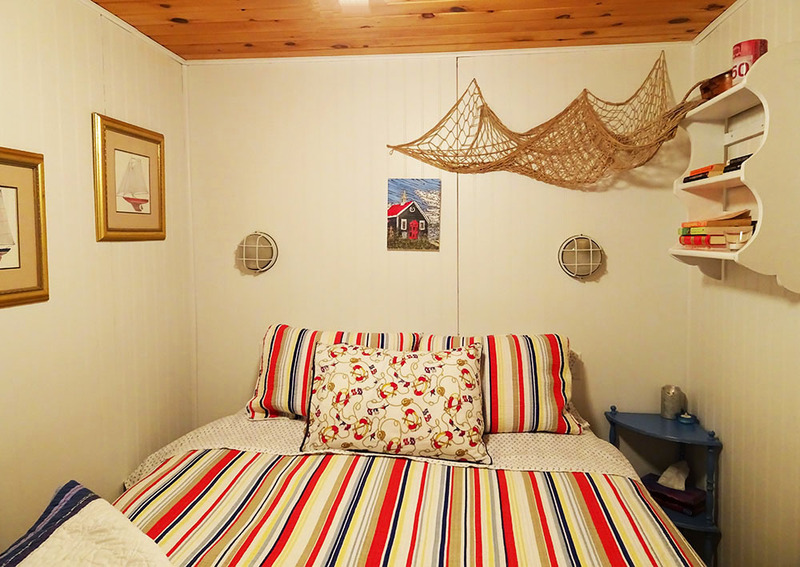 The interior design stays on the nautical theme and blends tastefully with the character of the boathouse. The comfy couches also adds a nice atmosphere while listening to the crackling fire. 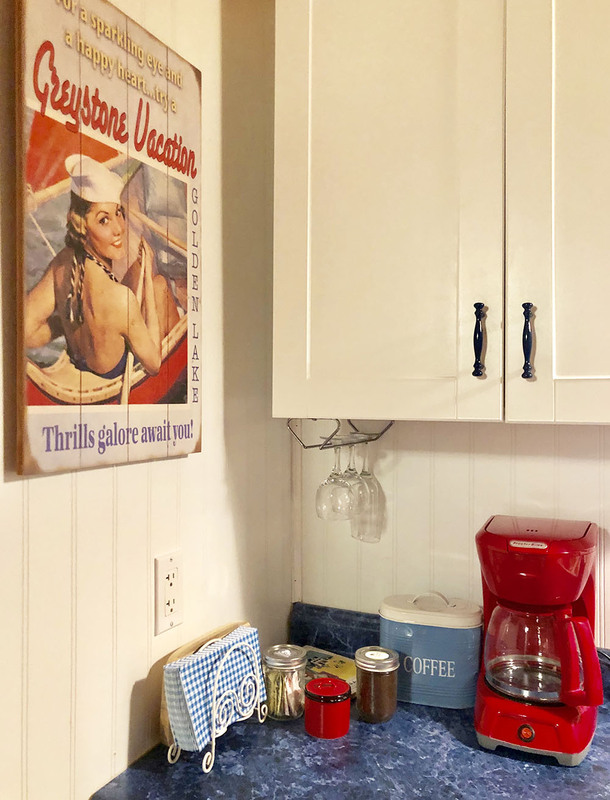 The kitchen is stocked with everything you need for a short getaway: all the kitchen utensils you can imagine, a variety of cutting boards, wine glasses, plates of all sizes, and much more. If you’re unsure what food to bring, keep in mind that there is an oven, a microwave and a toaster, all in pristine condition. 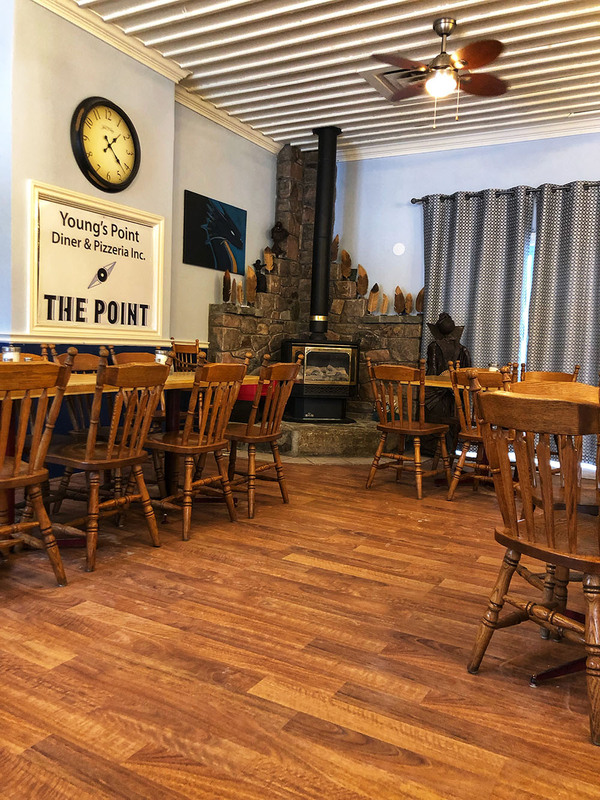 If you stumble across a day of bad weather, there are plenty of games you can borrow from the main Greystone guest house, such as the Balderdash, Scrabble, Monopoly, and many other games that work better for bigger groups, like Cranium. 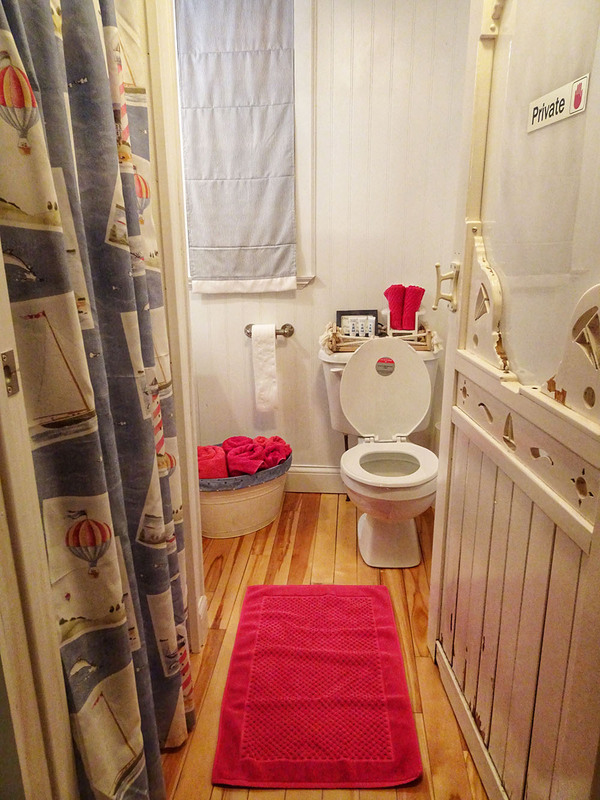 The washroom is very cute and follows the same nautical theme of the cabin. 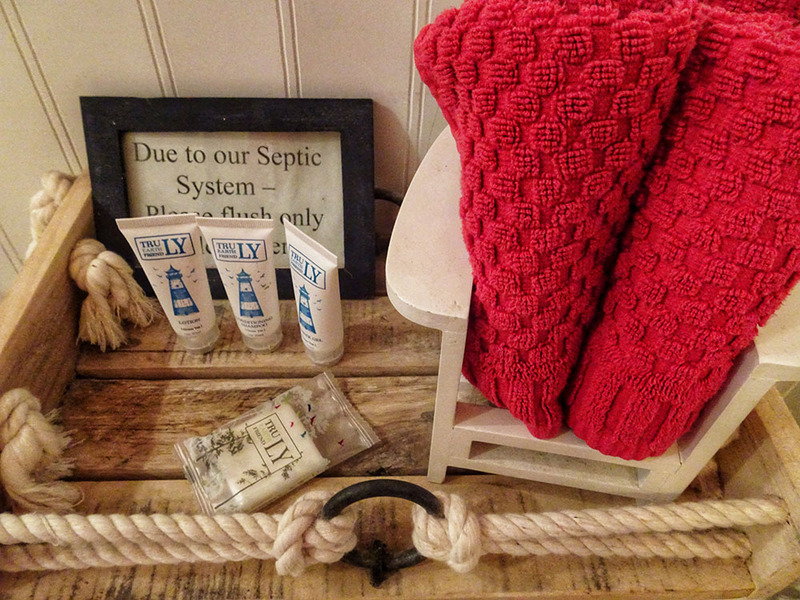 It is stocked with natural-made lotion, shampoo, and body wash samples. When I woke up Saturday morning (after some coffee and a small breakfast) I met the extremely helpful staff who gave me tons of information about all the wonderful things to do there. 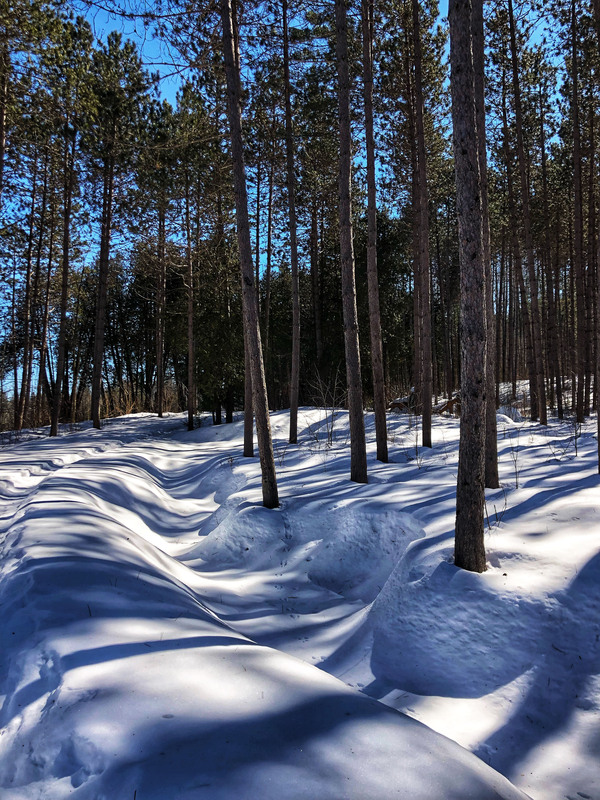 I had the option of snowshoeing behind the house, where there have private trails, or taking a short drive to the Shaw Woods Outdoor Education Centre. I chose the latter. 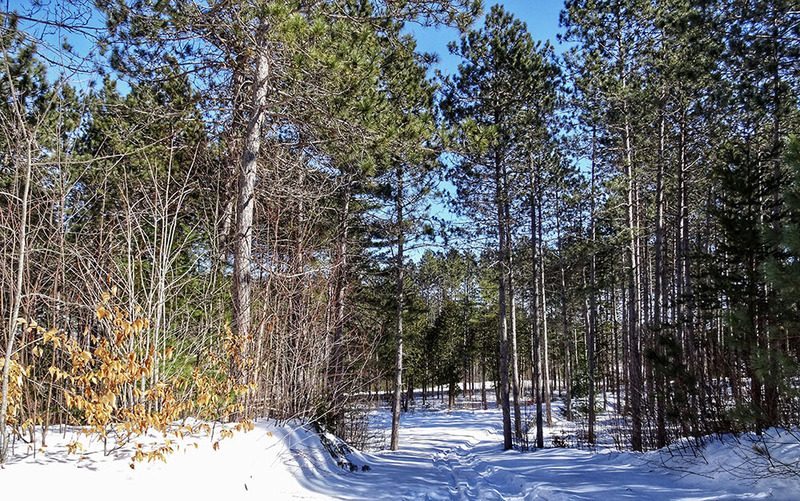 This scenic park is known for its beautiful hiking trails and backcountry snowshoeing. 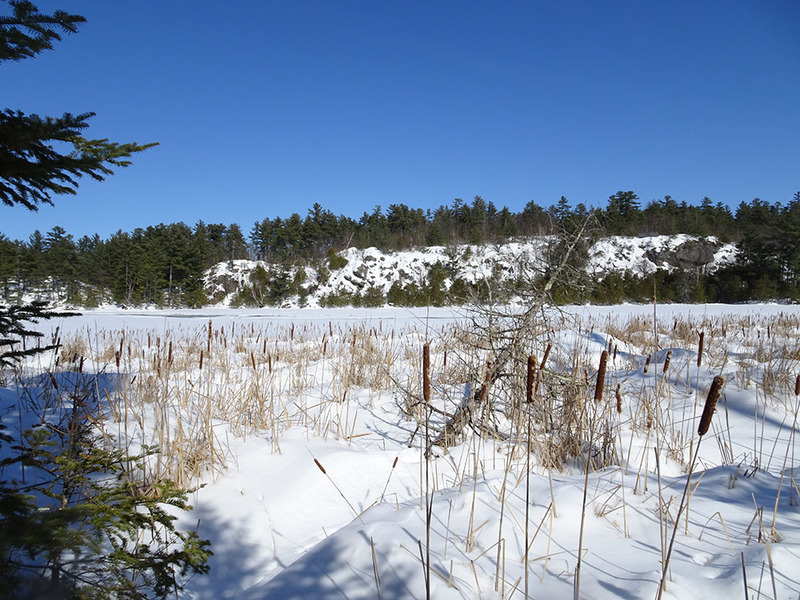 It’s open all year round and there are over 123 acres of old-growth forest, and nearly 400 acres of wetlands to discover. Make sure to take a leisurely self guided tour around the area to see all the ancient sugar maple trees. 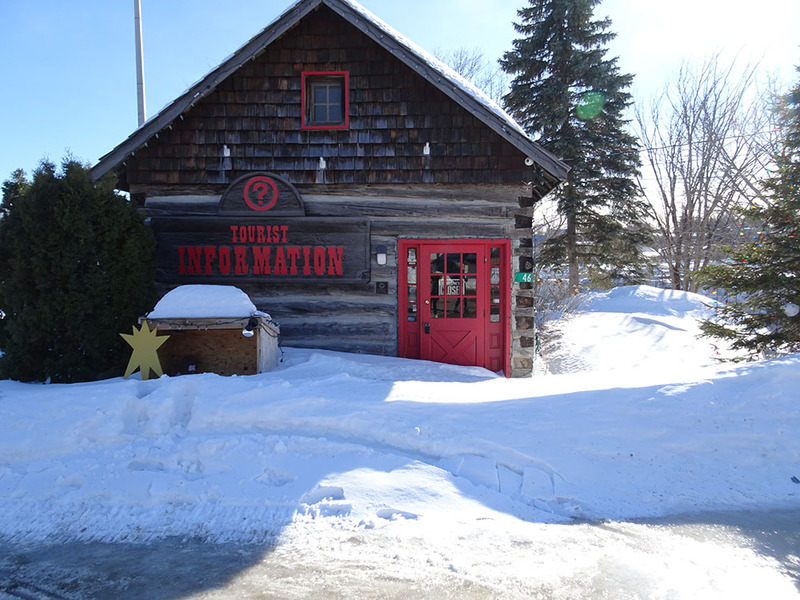 At the end of winter, their Maples Sugar Shack opens to the public. After all the activity, I was hungry for lunch, so as I was passing through the town of Eganville and I saw a sign for freshly made burgers. I was officially sold. 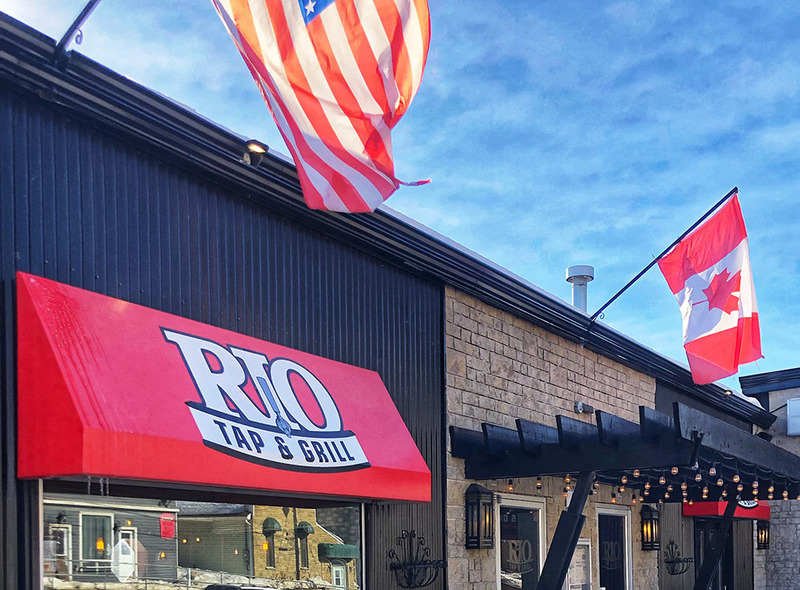 The restaurant called RIO Tap & Grill, serves typical pub food that is freshly made. I had the mozzarella and sautéed mushroom burger which hit the spot. Stopping at the grocery store beforehand was definitely a good idea too. I bought bagels, cream cheese and tomatoes for my next breakfast, along with a readymade pizza that I just popped in the oven that evening. It definitely saves time and money when you don’t want to go out for every meal. The town of Eganville is a very pretty town to walk around. 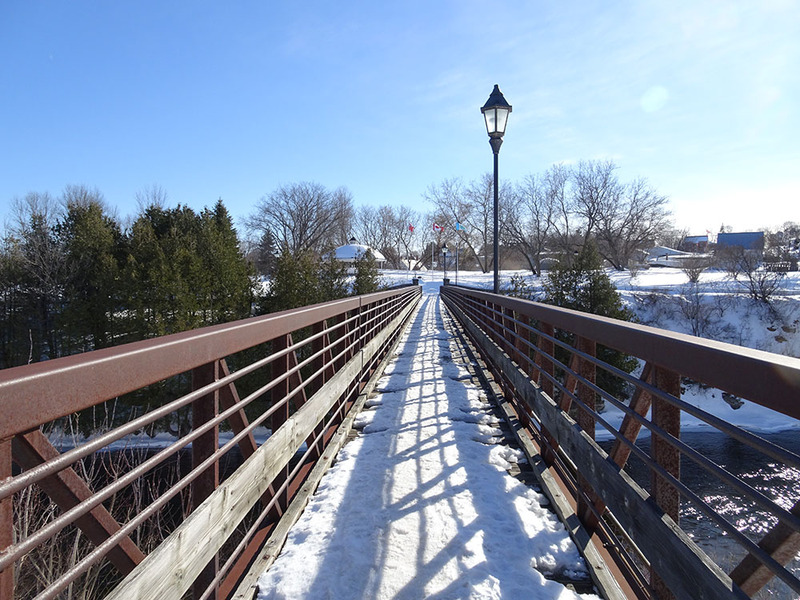 If you cross the bridge, you will see a great view of the water flowing down the Bonnechere River into Centennial Park. This is yet another beautiful park that features scenic paths along the river. Next stop is to check the Alison & Fraser Recreation Centre. 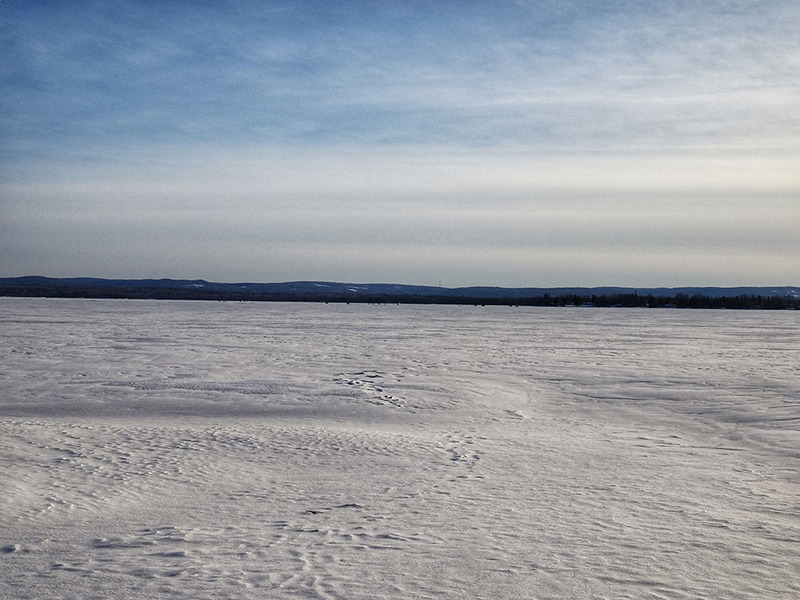 It’s the perfect place to get your skates on before the season ends. This unique skating park is located in the middle of the woods, surrounded by forest everywhere you look. 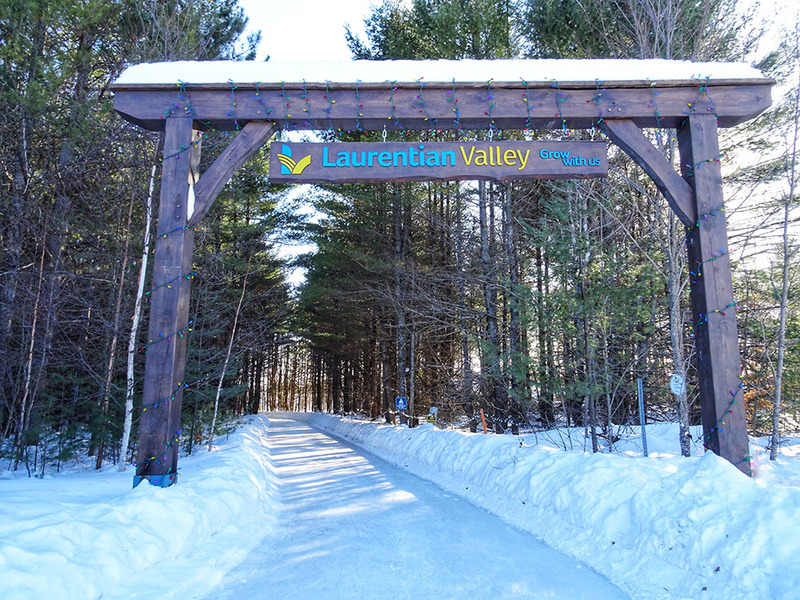 Located in the Township of Laurentian Valley, it’s also open in the evenings for moonlight snowsnowing and fairy-lit ice skating. When I woke up on Sunday morning, there was a massive snowstorm on its way so I figured I should head home earlier rather than later. By the time I had the car packed, the snow was coming down almost in ice pellets. Sadly, we knew it meant we should start to begin our drive home. I wish I could’ve stayed for longer but unfortunately, Monday morning work forced me back to the city. Luckily, on the drive back, I was able to take in the scenic drive home. Driving through rocky cliffs with everything blanketed in frost made me feel like I was in a real-life snowglobe. 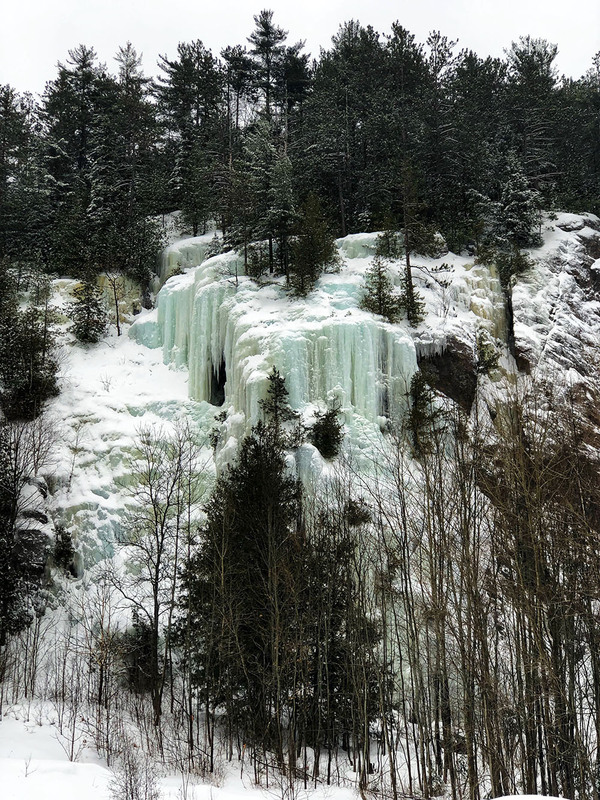 A rest-stop was needed so I stopped in Bancroft and luckily enough, stumbled upon these stunning cliffs covered in icicles. About halfway through the journey back to Toronto, I got hungry so I stopped in Lakefield, Ontario in a restaurant called Young’s Point Diner & Pizzeria. The staff were extremely friendly and the food was delicious, too (and I’m pretty picky). I got a club sandwich that was made to perfection with all fresh ingredients. I’d love to come back in the summer, as I can only imagine how different it all must be. The activities are plentiful, and the views must be incredibly beautiful. I can’t thank my hosts (Cindy) enough for providing me with such a wonderful experience. She was always quick to respond and made sure I had everything I needed. Golden Lake apparently got its name from the flecks of “fool’s gold” that sit and glimmer at the bottom of the lake. 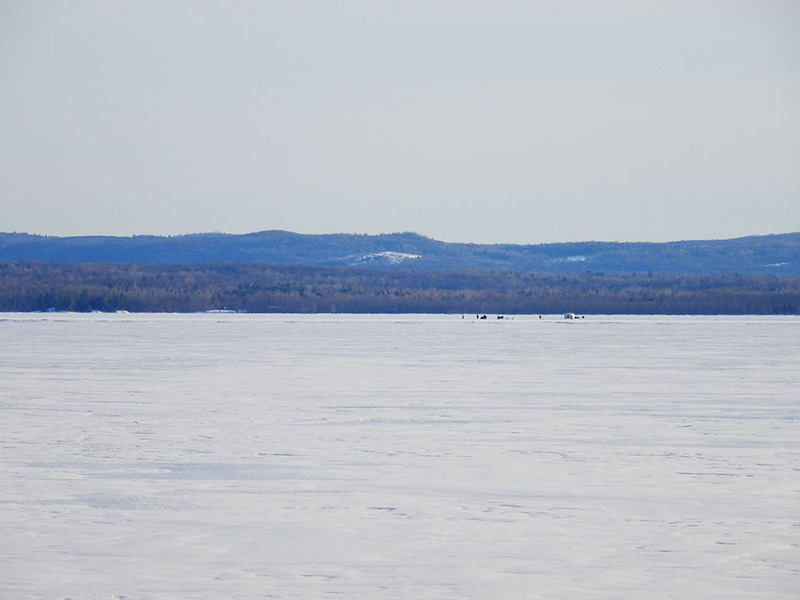 It’s an ideal spot for fishing smallmouth bass and Northern pike. Loved it! I want to go there because of you!